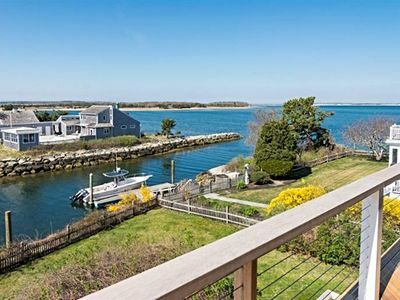 BOOK BEFORE JULY 1, 2019 AND YOU ARE EXCEPT FROM NEW 12.45% LODGING TAX ON ALL MASSACHUSETTS VACATION RENTAL STAYS. 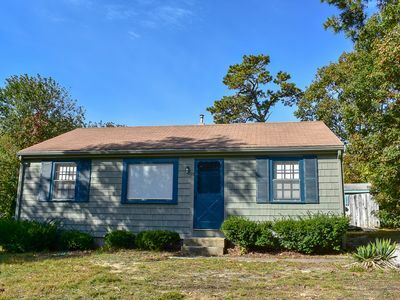 Enjoy the serene simplicity of our quaint cottage in the popular Popponesset, safe, family centered, seaside community.Wonderfully located, 3 minutes from beach. 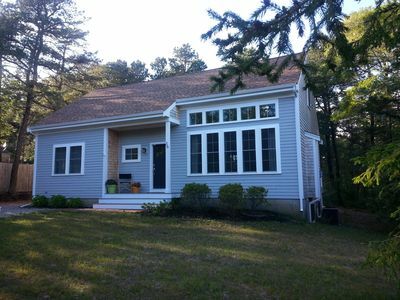 Spring 2012 the cottage underwent a complete makeover, inside and out. 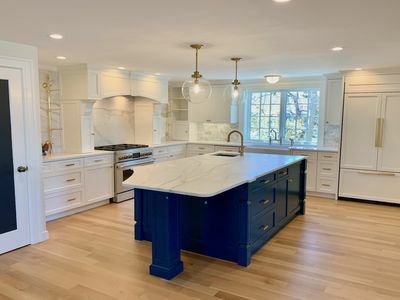 It features a small open kitchen that is well stocked with all your meal planning necessities. 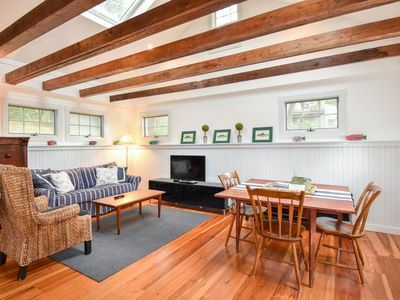 The Living room is comfortable, with lots of natural light and provides a cozy conversation space, neat and is tastefully furnished with all traditional Cape Cod décor. 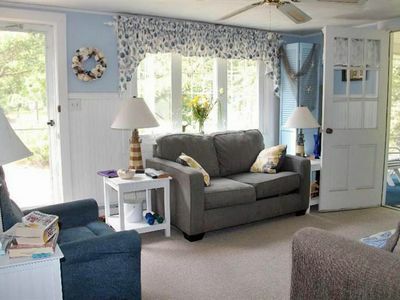 Our cheerful cottage is a great setting to gather as a family to relax and bond, enjoying days at the beach and nights in the screened porch or unwind outdoors on the patio, grilling and dining, while kids play bocce in the private fenced yard. 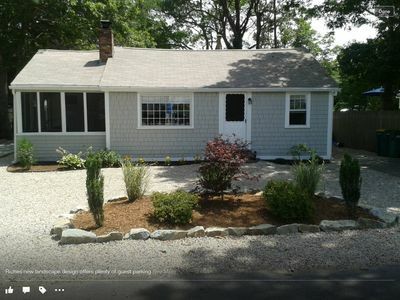 New (2012) Spacious private outdoor shower with changing area. 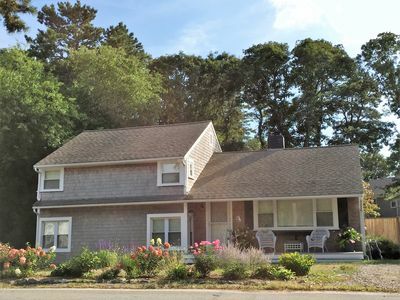 If you like to be on the go this getaway is centrally located to all your desirable Cape Cod Activities. Three blocks away at the community center hosts numerous daily activities for children of all ages, (sports, crafts, movie night, dances, etc.) Sorry no smoking and No Pets. 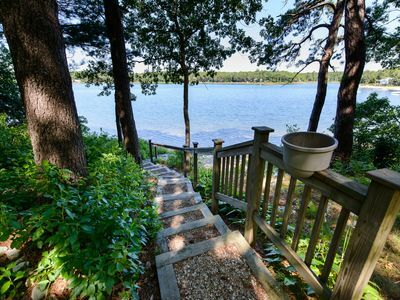 Refresh Body and Soul as you feel your spirit lifted, as you stroll only 500 feet from the cottage to the sandy private beach and water’s edge, while enjoying the breathtaking view of the peaceful Ocean as far as the eye can see. Great place for Spring or Fall guys golf weekend or girls getaway shopping and relaxing. 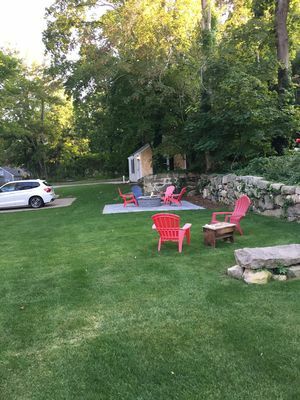 Ideal location and accommodations for guests attending weddings at the Popponesset Inn, just a short drive or 15 minute walk away. 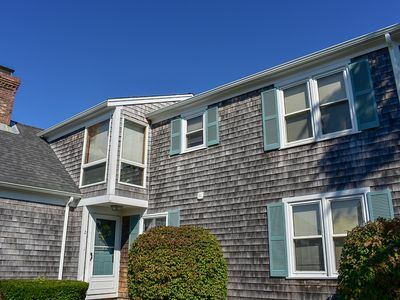 This fantastic location is only a eight minute drive to Mashpee Commons which has something for everyone, you can shop till you drop, dine in a variety of eateries or catch a movie on a rainy day. Adjacent to the commons is one of the Capes most Beautiful Catholic Churches, Christ the King. 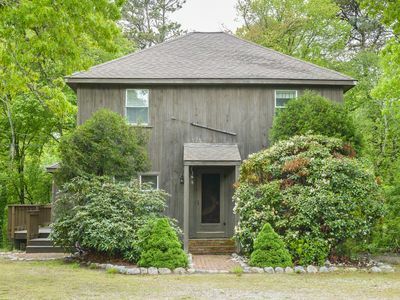 Woods Whole is just a short 20 minute drive to hop a Ferry to the Islands. 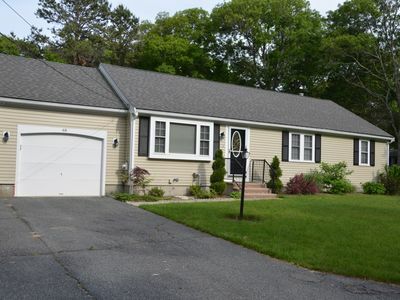 Many Golf courses are also close by just in the next town of Falmouth. All you need to pack is your clothes, your linens and towels. Everything else is provided for that great carefree family vacation or couples offseason weekend getaway. WE INVITE YOU TO COME AS YOU ARE AND LEAVE REFRESHED! FAM FUN! 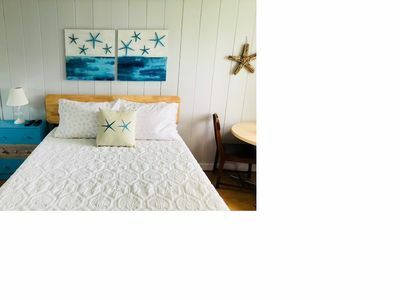 SPECIALS*2019*7/26-8/2-$3300/ 8/9-8/12-$1400-PARK PASSES INCLD! 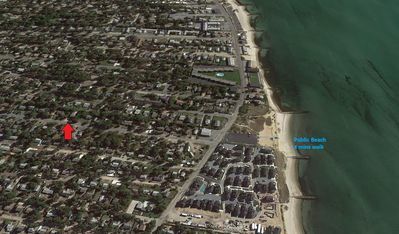 In Village Location ~ Beach pass provided. Price reduced! 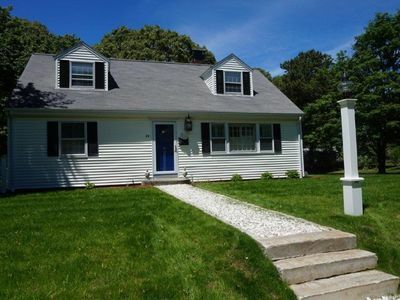 Historic Renovated And Immaculate Cape In ❤️ Of Yarmouthport! 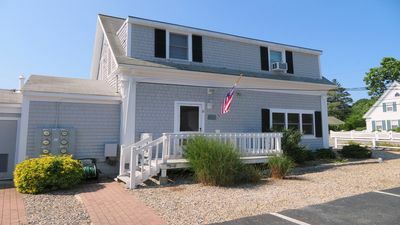 All New - 4 min walk to Beach - Central Air - Linens incl. 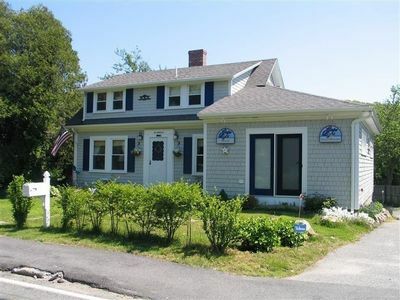 Seabattical - Updated Home Walk to Sea Street Beach in Dennisport. AC units and Free Wifi. 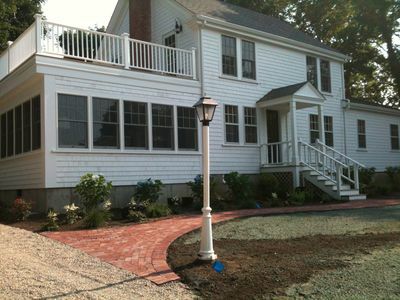 #205: Modern new renovation; walk to Truro Vineyards; Walk to Truro center! 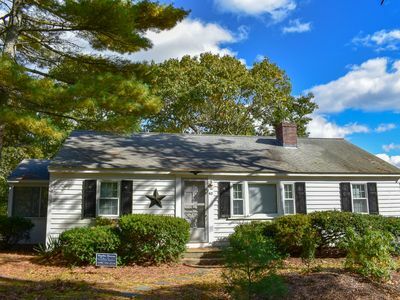 Bambi 13- Cute, quaint cottage located on a dead end street with little traffic.